It’s built in 1994 and remodeld in 2004/05. There is a direct gulf access and 10 min from the river, 25 min to little shell. Beautiful solar and electrical heated pool with huge lanai and pool deck. Huge boat dock with boatlift and tiki hut. Sliding doors of all rooms have access to the lanai and the pool. 21 ft hurricane GS 211 boat available , (not included in the rental price). Boat available a 21 ft hurricane with 4 stroke150 hp outboard. Only small dogs until 14 lbs. Smoking allowed outside. I can not say enough about the beauty of this property! Lovely home...granite countertops, stainless appliances.....gorgeous pool! The entire property is built around the pool so every bedroom opens to the pool. There is also a fun tiki hut with Adirondack chairs...great for morning coffee! However, the highlight of the trip was the boat! We took the boat through the canals admiring all the local homes and out into the gulf....best day of our vacation! In addition, the owner actually called us 2x to ensure things were going well....great guy!!!! He recommended local restaurants, left info about local wildlife, etc! Note: When the dust settled post vacation all charges were exactly as discussed and outlined in the contract! If you rent this place...you will not be sorry! When I first saw the property and read the description and all we could do, I thought “this is the one”. We made all kinds of preparations to enjoy our time there(my wife and I). When we made arrangements, the description said that everything was included and it went as far as describing the boat model, size, description... the only area that we didn’t have access to was the owners closet. So the second day we find out from the property manager that there were separate arrangements to be made for the boat rental which was not mentioned anywhere in the property description. $100 instruction fee payable to the manager and $250 day for the boat. Whitin hours they changed the description in VRBO. That was disappointing but we carried on. Finished our rental period and left the house clean with the exception of washing the towels and fixing the beds. Then I see the email stating that we had been charged an extra cleaning fee and an excessive electricity usage fee! After emailing the owner about these fees, he says that “ it was in the contract” and he sends me the electric usage chart for the 3 days. The first day showed usage 3 times the amount of the following 2 days. So he charged me electricity for a 24HR period when we arrived at 4pm. At which time we turned down the heater which was set to 78degres. It was our first time using VRBO and I’m very very disappointed. I will not be returning to Cape Coral or Ft Myeres area where the property manager runs more than 100 houses. Sorry Jose B that you thought you rented a house where everything was inclusive. You booked a house in the high season (February). We immediately sent you a rental contract that clearly states what the rental is and what the costs are. The rent for 3 nights is $ 420 .-- and in addition a final cleaning a $ 140 .-- and the extra electricity used. (250 kw per week is included). You sent the signed contract back so I assumed that you knew what you were renting and sorry that you are thinking or expecting a beautiful house in the yacht club with pool, a boat with 150 hp engine, extreme power consumption an instruction for the boat and cleaning of the house and boat gets there for only the $ 420.-- before tax ? And specially we did not charge you for an extra cleaning but just the cleaning what was in the contract. The extra electricity used was $ 17.30. before tax. $ 420.-- total ? Unfortunately, this is indeed too good to be true. we had a wonderful week in this home. It was fully furnished with everything we needed. The pool and the boat were great. Close to stores and restaurants but we enjoyed cooking at home. We will be going back. Thanks to Sjef and Karen for sharing your home with us. Everything about the house and boating experience was wonderful!!! Thank you. Very nice and clean. Plus the boat!!! Can’t wait to come back. I'm not sure if there is anything left to say. This is our 3rd stay with these owners and 2nd stay at this location. Each and every stay is just as wonderful if not better than the last. 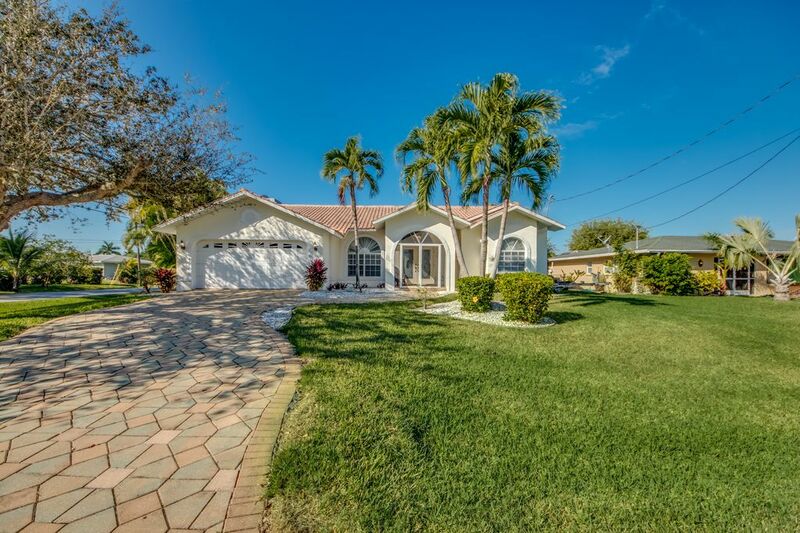 This house is a fantastic location, just down the canal from the Bimini Basin and within a very short drive, bike ride (the bikes are included), or walk to the downtown area. Not to mention the Yacht Club is just a few minutes in the other direction. The owners have just recently updated all of the kitchen appliances as well. You can tell this is a lived in home by the owners for part of the year. Even though the house is lived in it is well kept by the caretaker (Pal) and the boat is well taken care of by Bob. All of them, are some of the friendliest and most helpful people you will ever meet. From our multiple stays we are finding ourselves feeling more and more at home with every visit. As a matter of fact we have already booked our return trip in just a few months. We are excited about returning to this location for a third time. Thanks for the great review. We love it when people enjoy staying at our home. Villa Santa Rosa is located in the yacht club area and 3 min drive to the yacht club beach in a quiet neighbourhood.